Like bullet journals and pretty food photos on Instagram, meal planning has become one of those things on the internet that is both inspiring and potentially intimidating. Color-coded, hand-drawn masterpieces! Spreadsheets with if-then statements! It’s enough to make a regular person want to give up. 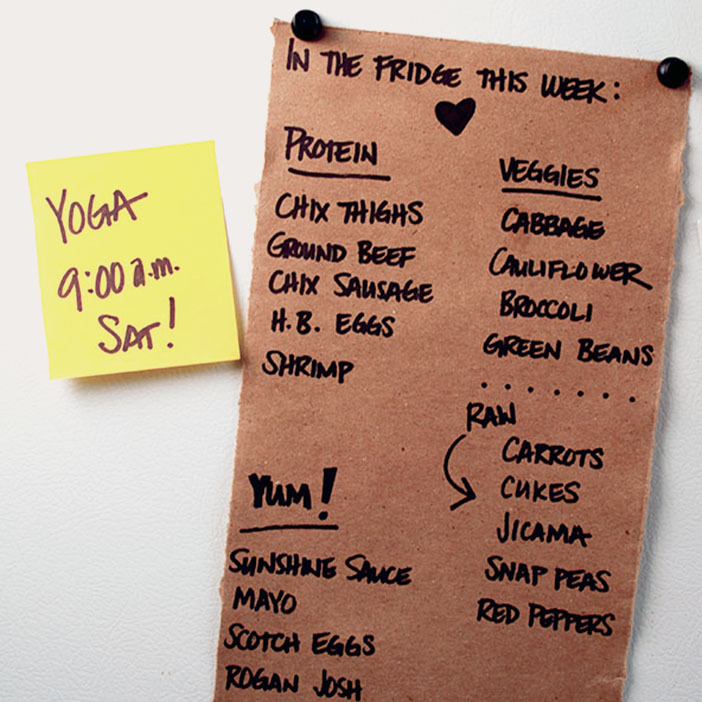 This is my vow to you: Meal planning doesn’t have to be crazy-making. But what happens when you hit a busy spell and miss your Cookup?! With my most recent cookbook Well Fed Weeknights: Complete Paleo Meals in 45 Minutes or Less, I focused on healthy, satisfying meals that could be made “to order”—no Cookup necessary. All of the recipes in Well Fed Weeknights create a full meal of protein, veggies, and fats, and most of them take just 30 minutes. Inspired by things I’ve eaten at food trucks, restaurants, family reunions, and on my travels, the recipes have bold flavors and put a lot of fun back in dinner time. The book also includes dozens of menu ideas to help with meal planning. What it is: Rather than planning what to eat each day, you stock up on the basics that you know fit within your eating template. For example, stock up on lots of veggies and fruits, a variety of proteins, cooking fats like coconut and olive oil, and the extras that make meals special like nuts, dried fruit, nut butters, and fresh herbs. Instead of buying ingredients for specific recipes, you’re buying raw materials that you can turn into spontaneous meals. This is the method I usually turn to when I’m very busy because it removes the thinking involved in eating well. I know my husband and I eat about 2 1/2 pounds of protein per day, so I use that as a guide and load up on pork loin, chicken thighs and breasts, ground beef, little steaks, eggs, canned tuna and salmon, and shrimp. At meal time, I pick a protein, choose some veggies, and throw it together according to what we’re craving that day. You can read more details of this approach in my post The Method Behind My Madness—or in the Hot Plates section of Well Fed. Why it works: It’s simple! And once you’ve determined how much you need and what your favorites are, shopping and cooking become very routine. 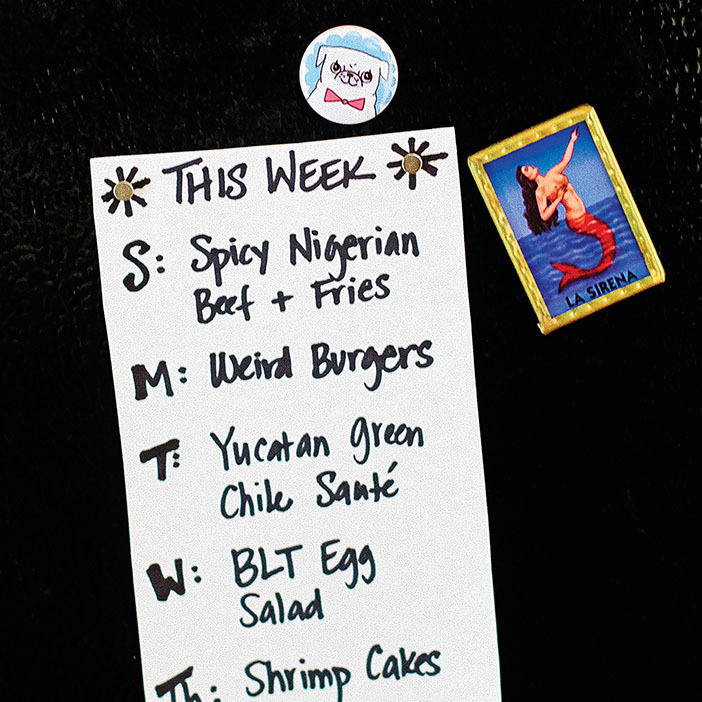 What it is: Pick a day and cook most of the food you’ll need for the week. What you cook can be a combination of the basics I outlined in the No-Plan above, plus recipes for your favorites. For example, you might roast a chicken, grill a bunch of burgers, and then also cook a big pot of chili and a batch of salmon cakes or Scotch Eggs. That way you can alternate between simple protein+veggie meals and “fancier” dishes like chili and salmon cakes. Potential pitfalls: It requires about 2-4 hours in the kitchen one day a week, and some busy families have a hard time finding that chunk of time. You can work around this issue by using a Mini Cookup, which I explain below, or having a big Cookup once or twice a month, when you can carve out the time, and making double batches than can be frozen for Future-You. What it is: Instead of cooking all of your meals for the week, with a Mini Cookup, you can prepare the staples that make meals more fun in about an hour. Set a timer and then cook your own “packaged food:” Roast a bunch of sweet potatoes and a whole chicken or chicken parts. While that stuff is in the oven, grate a few heads of cauliflower for rice and julienne a few pounds of zucchini to make noodles. Hard-boil a dozen eggs, and make a batch of homemade mayo and a vinaigrette for salads. Then during the week, you can cook protein “to order,” add a salad, and supplement with the noodles and rice. If you’re really tight on time, you can also make a staple each day, while you’re cooking dinner. For example, while you’re making a stir-fry on the stove, you could roast sweet potatoes and chicken in the oven for the next night. What it is: Paid services like the truly awesome Real Plans can generate a PERSONALIZED meal plan for you based on the number of people you want to feed, their food restrictions and preferences, and how many days of the week and meals per day you want to include in your plan. 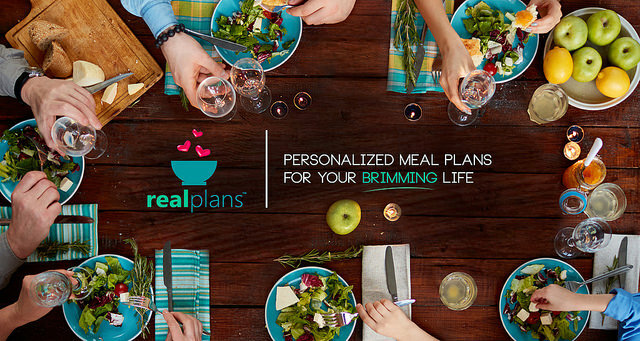 Real Plans also provides detailed shopping lists for the grocery store and farmer’s market, and supplies a Timeline that reminds you when you need to perform each cooking task. Real Plans includes all of my Well Fed recipes, as well as recipes from lots of other great paleo cooks, as well as the Whole30 and Stupid Easy Paleo. Learn more about the magic of Real Plans + Well Fed. Every Thursday, I share a post called Five Paleo Dinners To Cook Next Week—visit the archive for lots of ideas— that always includes five main dishes, a condiment, and a treat to help kickstart your meal planning for the week. Sign up for my newsletter to get a reminder in your inbox, or follow me on Twitter, Instagram, and Facebook—I always post an alert there to let you know when the list is live.